For a while, I've thought that I should perhaps compile a comprehensive encyclopedia of reality-inverting/controlling 'MLM Income Opportunity' terminology: complete with translations into the traditional English language. Some of the most-vulnerable persons to have been targeted by 'MLM Income Opportunity' racketeers all over the world, have been immigrants in general, and illegal immigrants in particular. Self-evidently, illegal immigrants are often desperate to find a means of making money and of gaining social acceptance, whilst the chances of them openly-complaining (to law enforcement agencies) that they have been defrauded and exploited, are virtually zero. Whilst it is true to say that the term, 'No-Fly Distributor,' cannot be found in published 'Herbalife' propaganda, numerous first hand witnesses confirm that it, and other similar terms, have been widely-spoken within the 'Herbalife' organization in the USA to describe the significant category of 'Herbalife MLM Income Opportunity' core-adherents who have been illegal US immigrants (particularly, from Mexico and Latin-America). It is interesting to note that (when challenged in recent press interviews) the inflexible bosses of the 'Herbalife' mob have not denied the existence of the term: 'No-Fly (Herbalife) Distributor.' What they have denied is their own knowledge of the term by stating that 'No-Fly Distributor' is not officially used, or recognised, by the 'Herbalife' company. 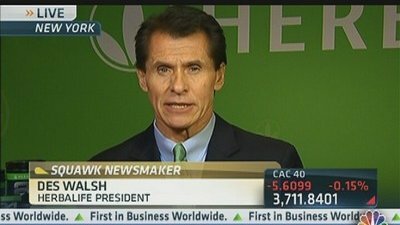 Des Walsh has also claimed that it has been mandatory for all Herbalife recruits in the USA to declare their tax-payer identification numbers, but this classic piece of reality-inverting cultic small-print (which was never intended to be enforced) was maliciously designed to divert investigation and isolate the 'Herbalife' bosses from liability. 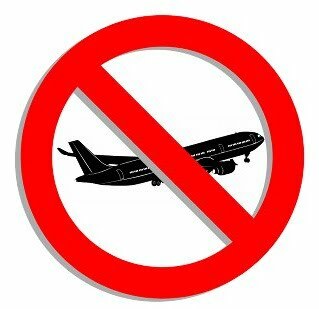 The term, 'No-Fly Distributor,' derives from the fact that core-'Herbalife' adherents have been expected to travel extensively as part of their unpaid group-related activities. 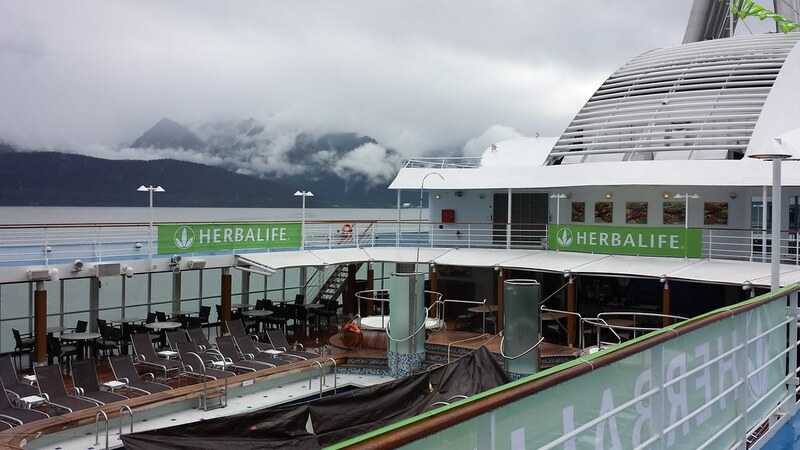 Some have also been rewarded, for signing up more 'Herbalife' adherents, with invitations to attend 'Herbalife Major Functions' in US, and foreign, resorts and on cruise ships, but obviously without ID, 'Herbalife' core-adherents who have been illegal US immigrants, could board neither flights nor cruises - hence the term: 'No-Fly (Herbalife) Distributors'. Consequently, this category of undocumented 'Herbalife' core-adherent (whom the bosses of the organization obviously deny the existence of), has been treated differently by the organization and, presumeably, federal investigators will be looking for documentary evidence of this. Initially, I had responded to an add that kept popping up in my email entitled "Work From Home" and fire your boss. I recently had to resign from my employment of 4 plus years to in order to relocate with my husband as instructed from his military orders. While at my new duty station, I was unable to find work and bills were piling up. When I first received the email, add read the commentaries from CNN, ABC and other networks, I figure that this was a legimate work from home opportunity. I paid the initial $9.95, received a first pack in the mail and a couple of days later I was contacted by my sponsor/coach Karen Nelson. I had expressed to Ms. Nelson that I was somewhat skeptical about online business opportunities because I was scammed in the past and lost quite a bit of money. I also explained to her that I did not want to pay anything else for a work-at-home job. She had informed me that it was absolutely legitimate and that I would not be required to pay anything additional. She also told me that she was with the program for 4 months and in her first month she made a total of 14,000 at the distributor level. I asked her to give me some time to talk it over with my husband and I would get back to her. Two weeks later, I told her I was not sure about it and she in turned told me that she can guaranteed me that I will make any money back that I put up front to get started within the first month and she would show me step by step to do so. Then I was charged $199. for my Success Builder Kit. I was given a password to log on to the IOffice, sign up for First Data (which charges me $54.95 monthly) and then my GoHerbalife account. She explained to me to get business cards, make flyer, and advertise the 30/30 weight loss campaign. She also told me to sign up with OBTDomains and register for a domain. I did, paying $39.00. Then she instructed me that I can get lead using the Wheel option, bring in others and pay a percentage, etc. Every time I turned around I was paying out money rather than making any money. I built websites to promote and sell Herbalife products and to no avail I cannot even get people to click on my site. I paid Facebook for advertising, I paid Google/adwords, Google/ad sense, Manta, US Directories etc,.. to get my business started up and to give Herbalife the benefit of the doubt. My mentor kept telling me, you have to put in 110% if you want to get paid. Sometimes you have to invest a lot to make allot. All I have been doing was investing and losing a lot. I can't even get my money back. I explained to my mentor that I did not need a weight loss program, I was not looking to get rich, I just wanted a job where I can work from or office to supplement the income I lost. I feel used, scammed and ripped off by Herbalife and my coach. I truly believe that Herbalife profiles individuals to be mentors or coaches who are designed with low morals, who would lie, cheat and steal without losing sleep and Herbalife pay these people to do their dirt while generating wealth for the company. I am disgusted and feel totally violated by Herbalife and Ms. Nelson. To make matters worst, my emails goes unanswered and I can get no one to call me back to discuss how I can get my money back. Meanwhile I am finding myself deeper in debt. The 'Herbalife' bosses have steadfastly pretended that the overwhelming majority of their adherents are perfectly satisfied and that virtually no one has ever complained to the company. In reality, a hell of a lot of people have complained to 'Herbalife' and asked for their money back, but the company has simply ignored them. This ladies story could be dittoed a million times. Bless her heart and tell her to get a good tax man to help her write off as much as she can, if he knows how to work home based business accounting. Ben - It might interest you to know that the US IRS does not allow expenses incurred from participation in so-called 'MLM income opportunities' to be deducted from a person's declared income. This is because the IRS doesn't consider 'MLM' to be a business activity. On the contrary the IRS considers 'MLM' participation to be an expensive hobby. Mlm truth - I have posted your pointless and incoherant jargon-laced boast merely because it demonstrates the sad type of individual bedazzled by the 'MLM' fairy story.